Bespoke News: New Contract Award - From Dunelm To DSV...Bespoke Back At Sideway! New Contract Award - From Dunelm To DSV...Bespoke Back At Sideway! Bespoke are delighted to announce their newly awarded contract in Stoke-On-Trent. In January 2017, works will commence on Sideway industrial park for end-user, DSV. 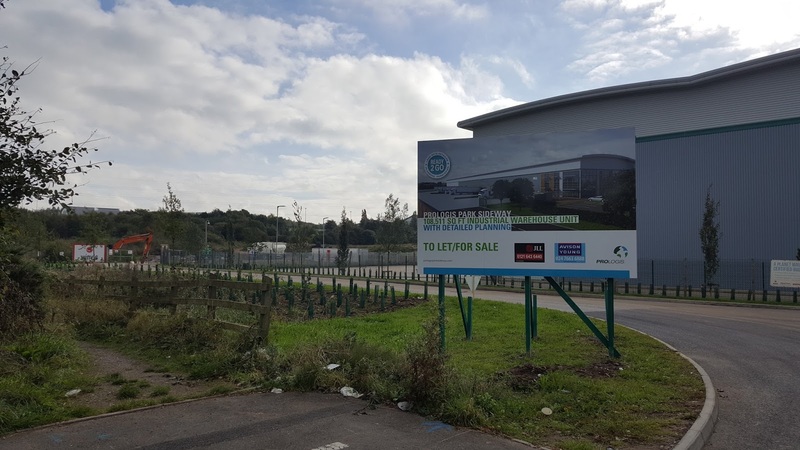 This sizable new development will serve as the DSV's new distribution centre and offices. This new base will help the logistic heavyweights expand their impressive national presence and distribution capabilities. Our works package involves the full internal fit-out of office and warehouse office accommodation. This includes partitions, screeding, joinery, carpentry and the installation of Armstrong suspended ceilings. Bespoke are not only familiar with this industrial park, but also with the end-user! In January this year (just opposite the new development), we completed works for homeware firm, Dunelm. In 2015, we wrapped up works for DSV on Northampton's Warth Park. Follow the links to find out more about these former projects!